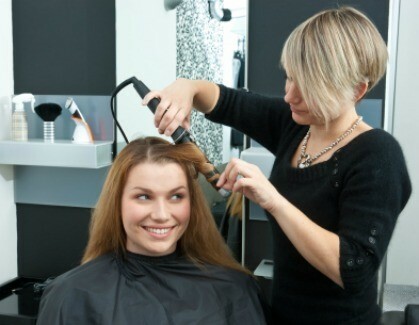 Going to a salon to have your hair done can be quite expensive. This is a guide about saving money on hair styling. I just got my haircut at an Adult Education Class. They learn the trade and are supervised and watched close as they work on client's hair. I received a cut and color and paid less than $20.00. Tip is separate. I have never had a bad color or cut. You can see if your local High School knows of classes such as this. I used to get a hair cut at the beauty school. I'm not sure why I stopped going there because I was always happy with the results. It may have been that it took too much time. You wait your turn and because they are somewhat inexperienced, they take quite a while to do the work because they want to do a good job. Atleast that was my experience is that I guess I got tired of spending so much time there. I might try it again tho because it was a real savings! I used to have my hair cut at a cosmetology school that was located nearby. Yes, it did take about twice as long as going to a regular beauty salon because the stylist was just learning, but I was always completely satisfied with the results and the price was a real bargain. Sadly, the school moved to a new location which wasn't convenient for me. If you're not in a hurry, this can be a real money-saver. Isn't this a wonderful bargain. We have a local technical school that offers inexpensive haircuts and other services, and just this week a new beauty school opened here offering $5 haircuts and big discounts on other services. It's all by appointment, so you don't have to wait. The snowstorm kept me from going this week, but I'm going this coming week. The best, and cheapest cut I ever had was a few years ago at a hairdressers' school! It only cost me about $15 and the girl was REALLY good (she said she was done with the education the next week!). Really try it!